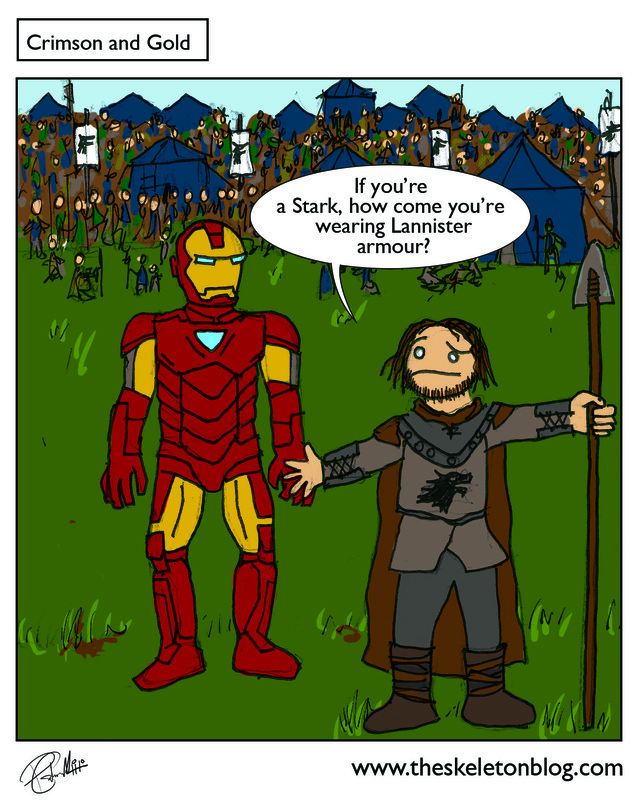 While making this comic I discovered the difference between 'armour' and 'armor'. Americans use armor and the UK uses armour. This would be interesting if it wasn't so dull. 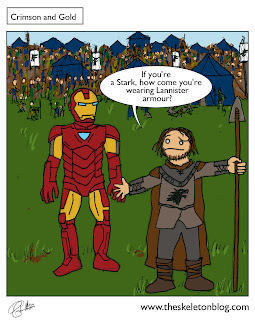 Game of Thrones on the other hand is very interesting, as is Iron Man. Here's a few things I learned whilst on line not looking up the difference between armour and armor. Julian Glover (Grand Maester Pycelle) was in The Empire Strikes Back as General Veers aswell as Indiana Jones: The Last Crusade as Walter Donovan. Michelle Fairley (Catelyn Stark) was Hermione’s Mum in Harry Potter. Harry Lloyd (who plays Viserys Targaryen ) is the great-great grandson of Charles Dickens. Most of these came from Uproxx.com so check that out for more of the same. Also here's the Joffery/ Bieber tumbler that's been doing the rounds, just for the lulz.